This post is filed under Crackers, Dry, Hall of Fame (Taste), Honey, Keebler, Wheat. Does anybody else miss the truly original Wheatables – from about 10 years ago? Can’t find them in any store around. Were they just too good or what? OMG…I have GOT to try these now…”like a cross between a Wheat Thin and a Ritz cracker” Those are by far my most favorite of snack treats…and combined?!? Man….thank you good sir. I couldn’t stop eating these once I started!!! Weird addictive effect and finished the box in 2 days!!!!! I miss the original Wheatables! I use them in a reciepe for the best snack mix ever! Are they available anywhere? I miss the old original wheatables too! 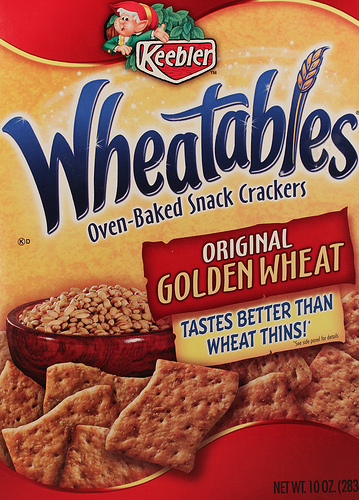 I used to be able to eat an entire box of the OLD Wheatables, they were absolutely fantastic! I miss them and I want them to return. I don’t give a crap if they had trans-fats or whatever else in them. McDonald’s screwed up their pies and Keebler screwed up their crackers…how sad for anyone that never got to try the originals of either!!! They should give the people both varieties, call one “Retro” or something, and allow them to decided which they would like to consume. 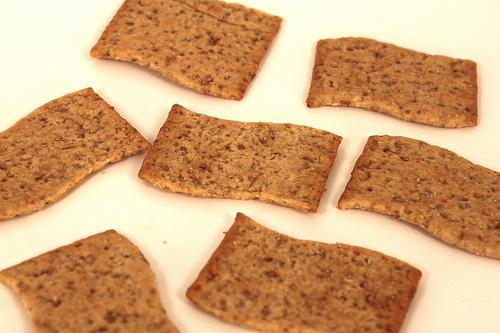 The original Wheatable, from the 1980’s was hands down the best cracker ever made! My friend Scott and I had been out (in our 20’s) all evening and we were craving food so we stopped at a 7/11 wanting Wheat Thins, and this was all they had, so we bought a box. We got in the car and tasted them and we finished the entire box! They were the thinnest, crispiest, tastiest cracker! They were better tasting than a Wheat Thin, which was thicker! Then a few months or maybe 1 year in, Keebler changed the recipe and they were no longer that tasty or thin! Somewhere in that time they started making a onion flavored and I think a cheesy version in a hexagon shape, or was that Nabisco?…. and then those disappeared too! I have always truly missed the original Wheatable! I wondered if Nabisco somehow said they encroached on the recipe patent? I also miss the 70’s cracker called Twigs by Nabisco! They came in several flavors and I loved them! The was a case in court which found that by not having the cracker made of an all wheat flour they could not use the name wheatables. So instead of changing the name they changed the recipe I wish they had changed the name and still sold the cracker as i dont buy these with an all wheat flour . Kashi has a cracker (7 grain original?) that tastes VERY similar to the ORIGINAL Wheatables. I wondered what happened to them. They were delish! I preferred them over Triscuits. Are they not being made any more? I went to 3 stores today to find them; none were there? Does anyone know what stores are still carrying them? They were my favorite crackers!!!! Why did they discontinue these wonderful cherubic treats? I used to eat them all the time as a child because they were my Mother’s favorite snack, but now they are nowhere to be found. Please bring it back Keebler. If anyone knows what taste similar please let me know. I loved the old wheatables too and I really miss them too, wonder if we can have some of those again.